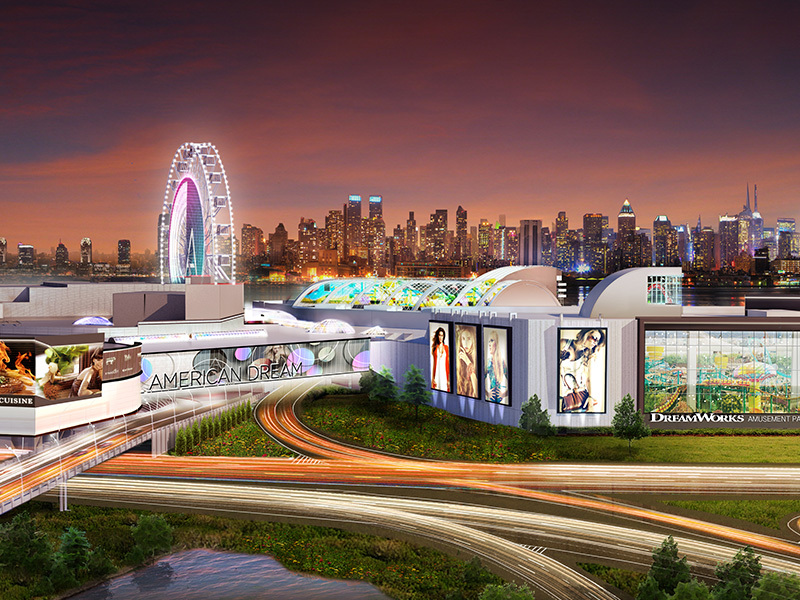 The former Xanadu Meadowlands is being dramatically redeveloped into a contemporary state-of-the-art retail, entertainment and food destination that will rival the greatest in its category internationally. Despite the wide array of entertainment and leisure options within the project, the shopping center avoids thematic architectural temptations and adheres to a sophisticated combination of luxurious materials and modern detailing. From the lush flower garden court, to the chalet at the base of the indoor ski hill, to the event atrium, a consistent design approach of elegant restraint is carried throughout the various zones. The outdoor ferris wheel on the property will offer visitors spectacular views of the Manhattan skyline across the Hudson River.